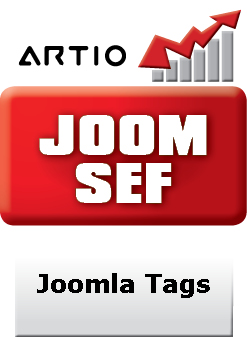 This extension for ARTIO JoomSEF enables generation of Search Engine Friendly (SEF) URLs for the Joomla Tags (tags and tag clouds) component. Important: This extension requires ARTIO JoomSEF 2.x. Use the built-in installer capability to install the extension package. For more details, please check documentation. You can download this product after your payment is confirmed. You will get your download ID via email. Usually this process takes just a few minutes. The download ID entitles you to get new releases for 6 months (maximum is 10 downloads).